What do I need to know in order to volunteer? All you need to be is willing and able. We’ll provide you with all the information and supplies that you need. 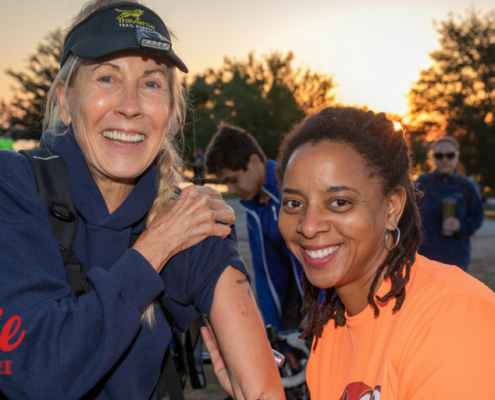 On event day, each volunteer will be provided with a shirt, breakfast, coffee, snacks and drinks for throughout the event, and access to all of the athlete amenities at the Finish Line Festival. There is also a special volunteer party with prizes, food, and drinks held about 1 week after the event. How do I know what my assignment is? The volunteer coordinator will contact you as the event approaches with information regarding your volunteer assignment. This information will include the date, time, and location of your assignment. Please keep in mind that volunteer assignments may change at the last minute if there is a critical need. However, we do our best to make sure you get the assignment you requested. 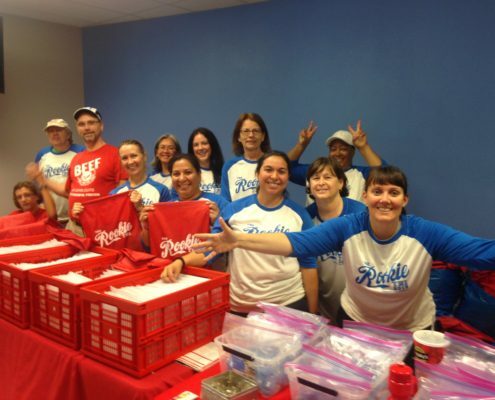 Please email volunteer@therookietri.com and our team will help answer any of your questions.